Looking for some fun summertime activities? These easy origami for kids are the perfect boredom buster. Learn the ancient art of folding paper with easy to follow instructions. Featuring super-bright neon papers and fun sticker embellishments, these kits are ideal for those creative minds to craft endless interesting shapes. Are you ready to have a paper airplane race? Get ready because these awesome flying dragons are going to fill your sky with loads of colorful fun. 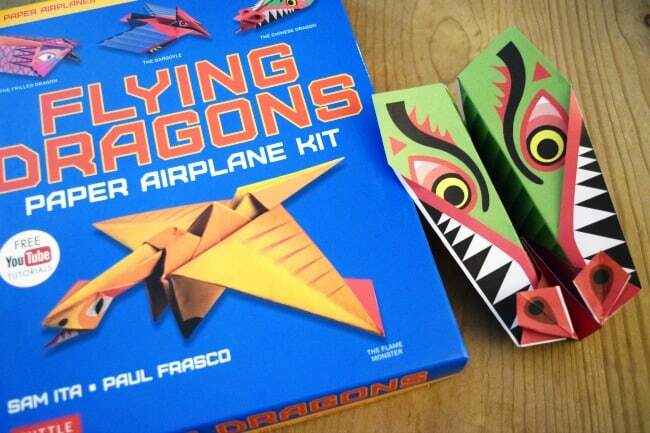 This paper airplane kit features a fabulous variety of dragon-themed paper planes. Great for anyone who is in love with dragons. The box contains everything you need to create 48 exciting flying dragons in 12 different sizes and designs. If you’re new to paper or folding paper airplanes, the full-color instruction book provides step-by-step folding instructions for each model. Plus the Tuttle Publishing offers youtube tutorials for additional help. The planes in this box range from simple ones that can be folded in under a minute to slightly more complex models. What a wonderful way to relax, through colorful coloring and mind pleasing art of folding paper. 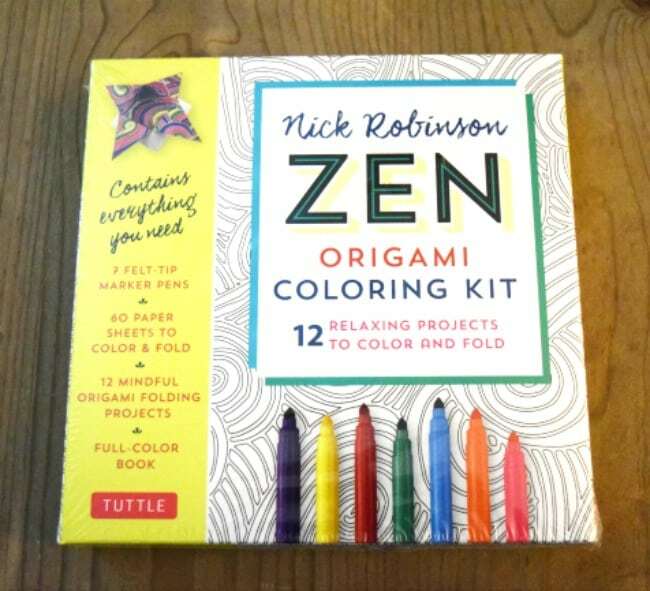 This complete kit has 60 zen-themed origami papers, 7 fine-tipped markers and a 48-page book with simple, step-by-step instructions. The adult coloring book patterns range from relaxing mandalas to pleasingly abstract organic designs. Filling these papers with color is just one part of the calming experience. Once you have made them beautiful you can join in the fun, creative art of folding these models. 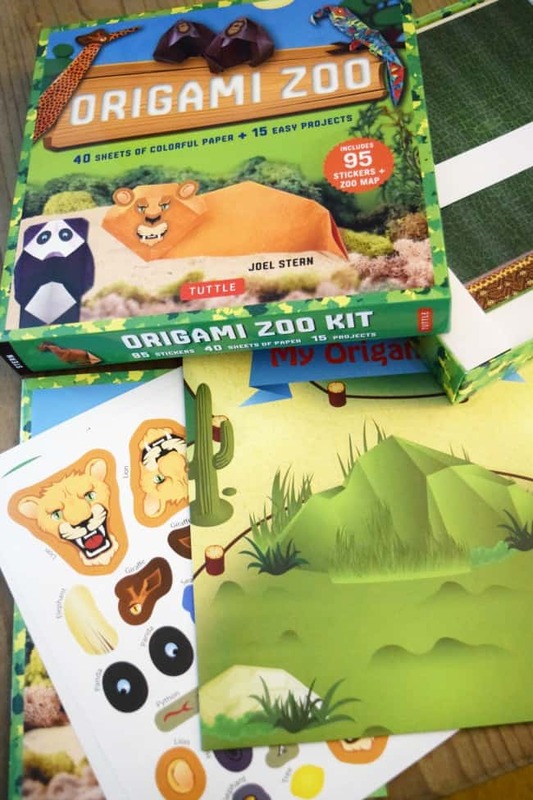 This Origami Zoo is great for beginner folders. 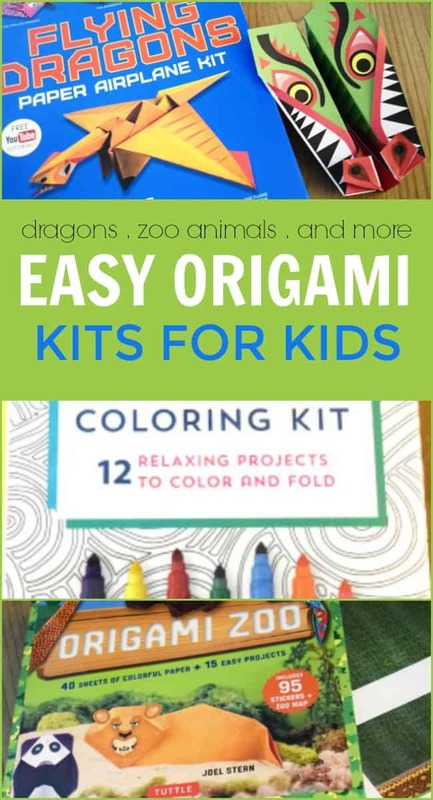 The Zoo kit is designed to stimulate your child’s imagination and creativity through the age-old art of paper folding. Each character comes with simple folding instructions, and the colorful papers can be folded up in just a few minutes. Stickers are provided to add finishing details to the models. Kids can also then play with the animals on the fold-out zoo map that is provided. This map also has a coloring activity on the back! A great kit to provide hours of fun this summer.